There is more than enough information available telling you what you’re going to need on that spring or summer RV trip; what separates newbies from seasoned RV veterans is knowing what not to bring. 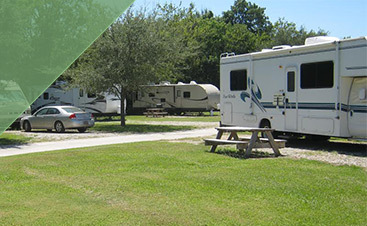 Stocking your camper or fifth-wheel to the gills with unneeded supplies that are likely to go unused only wastes money, gas and time. The next time you feel the urge to add just one more “can’t-live-without” item, check this list for those things that you are least likely to actually use. Tons of water. Depending on the amount, we literally mean tons. One gallon of water weighs 8.3 pounds. Adding 100 gallons of unnecessary water means lugging around an extra 830 pounds. This puts undue strain on your engine and reduces your gas mileage. Unless you’re planning to dry camp in a secluded location, utilize the campgrounds water supply instead. All that extra food. How many people are you feeding anyway? Don’t fall for your own justifications of picking up more food items every time you hit another town “just in case”. Those situations where you’ll actually end up using that extra can of cream corn rarely occur. Relax, you and your family are in little danger of starving. Your entire tool box. Though it’s very smart to keep a simple tool kit for emergencies, most repairs should be done by a professional anyway. Tools are heavy. Leave them in the garage where they belong. That extra vehicle. Though it sounds convenient for those quick day trips away from the campground, an extra vehicle can cost you a bundle in extra fuel costs. If you must tow a car behind your RV, think Bug, not Bus. 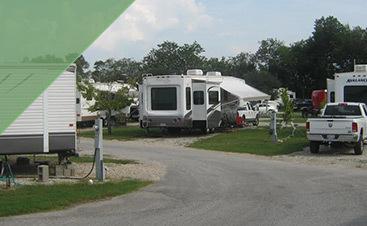 The folks here at Frog City RV Park near Lafayette, LA hope that this season’s RV travels provides you and your family treasured memories for a lifetime. 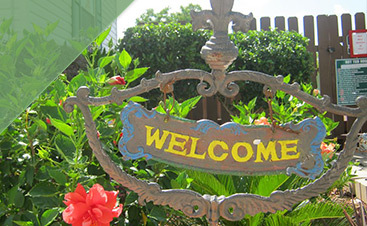 We hope that you’ll find it in ya to visit us at our beautiful Lafayette campground where you’re always welcome and we’re always ready for guests.